Never one for off-the-shelf legal fixes, Dan Beckman has a knack for fitting the solution to each client’s unique situation. His skill in finding appropriate, cost-effective and timely resolutions to a wide range of legal problems makes him an adept and versatile attorney. Dan represents a variety of individuals, businesses, banks, insurers, commercial property owners and managers. 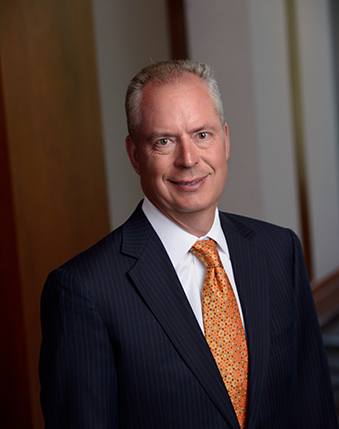 His work for these clients includes litigation, real estate, licensing and leasing, shareholder issues, non-competition, non-solicitation, non-circumvention agreements and estate and succession planning and collections. Successfully represented clients in a dispute over priority of claims to cattle in the South Dakota Supreme Court. Represented banks in collection cases involving counterclaims claiming oral modifications of credit agreements, defamation, interference with contractual relationships, interference with business contractual relationships, lender liability, principal liability, negligence, breach of covenant of good faith and fair dealing, deceptive trade practices and accounting. Negotiated numerous workouts and forbearance agreements in connection with loans involving real estate, manufacturing, service, distribution, retail and franchise interests. Litigated probate claims involving trusts, removal of personal representatives, undue influence and breach of fiduciary duties.